To compare a private behavioral health practice to a retail store might seem like an awkward juxtaposition to some. After all, a retail consumer and a client suffering from mental illness have two distinct sets of needs that have little in common. But at the end of the day, the continuity of care depends heavily on practice managers operating with the same attention to business metrics as the owner of a retail store would. Whether a practice is just getting started or is reevaluating its current business model, coming up with an effective behavioral health business plan is necessary to ensure ongoing healthy business metrics. The following are a few key performance indicators (KPIs) that practice owners should account for. The success of any private behavioral health practice begins with good financial planning. Finance is arguably the most important component for any business plan, and can be examined in several different ways. Start by gaining an understanding of what a single billable hour will earn in revenue. It helps to have a general idea of what the going rates of other master’s-, doctorate-, and MD-level providers in the area are, and additional factors such as provider specialty and geographic proximity to other practices will also influence the value of a session. Group practices should aim for a 10% profit margin after all operating expenses (including the practice owner’s salary) are accounted for. For the solo provider, the take home should be about 70-85% of practice revenue. Finding the right therapy space is a matter of considering how the price of rent will factor into the practice’s budget while still achieving these target margins. Practice owners will have their own unique set of circumstances and will ultimately need to decide what works on a case-by-case basis, but rent and payroll are first and foremost. 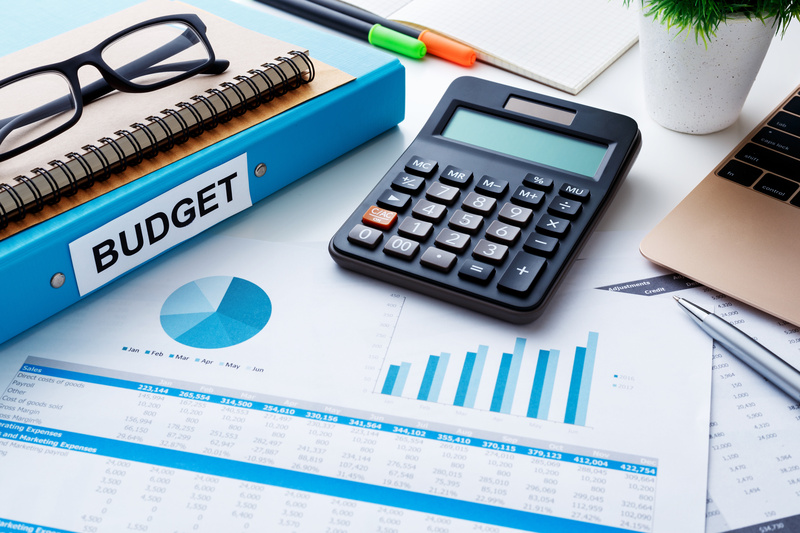 All other aspects of budget can be tweaked and adjusted as time goes on. Whether or not to invest into a front-end staff is circumstantial. Clinicians in small or solo practices will often perform administrative tasks in order to mitigate costs, but self-managing the practice’s scheduling, intakes, and billing, among other essential tasks, is a serious time commitment. It’s important for providers to think of their time in terms of potentially billable hours. If the administrative workload starts to cut into time that could otherwise be spent with a client, it might be time to consider the possibilities. Even if additional headcount is not within budget, practice owners should strongly consider an electronic health records (EHR) software solution. Much of the clinical and administrative workload can be handled entirely through software automation, allowing providers to focus more on care. The time saved through workflow efficiency is typically enough that an EHR solution either pays for itself or produces returns on investment. Insurance billing can provide a lot of benefits to the private behavioral health practice, provided practice owners maintain the right set of expectations. For example, practices that collect based on a total sum of charges should only expect about a 66% payout after insurance adjustments are factored in. Agreeing to contracted rates will produce about a 90% payout. In either scenario, claim denials, non-timely filing, deductibles, co-pays, and co-insurance can create challenges, even for the most disciplined of practices. Having a billing specialist on staff, using an EHR solution with integrated billing functionality, and contracting through a clearing house are all good ways to improve the practice’s margins. The dynamics of insurance billing are what set health care apart from most commercial revenue models. At any given time, any number of transactions might be at various stages of insurance limbo before becoming tangible income, and observing the practice’s financial health can be challenging without accounting for the big picture. For practices that accept both insurance and cash, keeping track of sessions booked is a more consistent way of determining incoming revenue. An EHR solution that can track pending transactions can provide additional clarity. Client retention is also an important consideration. While it is natural to experience client attrition in behavioral health, when they terminate therapy before achieving their slated goals it isn’t usually a good sign. Try to account for why this happens and adapt. By and large, when clients leave prematurely, it is the result of a frustrating administrative experience – not necessarily the quality of care. The continuity of any business depends on reaching out to prospective customers. In the context of behavioral health, practice managers must ensure the practice stays visible so that those seeking treatment can find it. But measuring the success of a marketing campaign can sometimes be tricky, as there isn’t always a direct correlation between a client’s decision to seek treatment and one specific marketing effort; it is often the result of multiple instances in which the client was somehow exposed to the practice’s brand. A good general rule of thumb for private practice marketing is this: keep it simple, keep it local, and (most importantly) keep it measurable. Try to account for what was successful. Ask clients how they discovered the practice, develop a sense of what’s working and what isn’t, and adjust accordingly. To learn more about marketing strategies for private practices, click here. As health care continues to demonstrate an inclination toward consumerism, online reviews for private practices are becoming more commonplace. Client reviews are an important business metric for two main reasons: they are a good source of feedback and prospective clientele will often rely on them as a means to evaluate the practice. Even the most attentive and disciplined practices will receive the occasional negative review, given enough time. It’s not generally a panic situation when it happens, however. Use the opportunity to address the issue, thus reflecting the practice’s standards over a public forum. Negative reviews that are inflammatory or inaccurate can usually be disputed and removed by site administrators. Measuring how satisfied clients are with their growth and change is a good metric to track, but it’s also an opportunity to assess how successful the practice’s treatment methods were in achieving therapy goals. Granted, each client has a unique set of needs, and it will be up to the provider to prescribe the best course of action. Determine if and when certain aspects of care should be adjusted. Is therapy providing satisfactory results? Are there opportunities to improve? Clinicians who maintain cognizance of health outcomes will maximize their effectiveness as care providers. Running the business aspects of a private behavioral health practice in addition to providing clinical care can feel like a heavy lift. Practice owners that create a business plan around essential KPIs will ensure they can continue to provide care for those in need for years to come. Interested in learning how Valant can automate several of your existing clinical and administrative processes? Click the button below to schedule a demo!